Dust is one of the most common household annoyances – it never seems to end! The problem with simply dusting or opening a window is that it doesn’t remove the problem permanently. A quality air purifier can filter your home’s air and remove dust permanently. 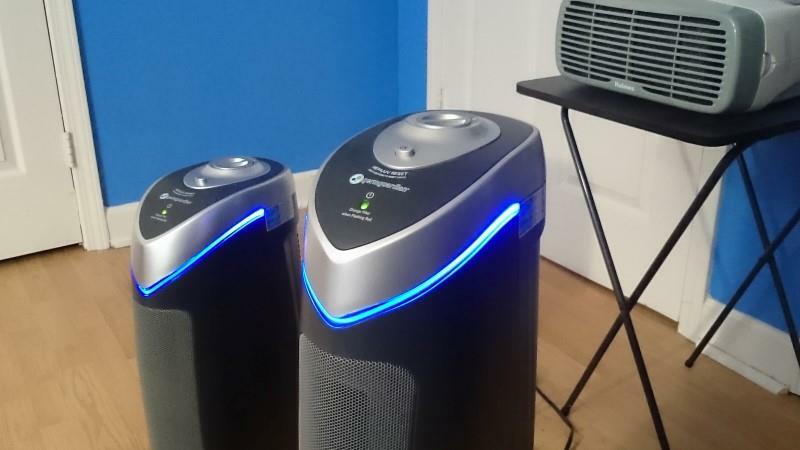 But which air purifier is best for dust? I’ll compare several of the best and show some great choices for your money below. I’d love to help you better understand the source of the problem as well as buy the best for your money. Additionally I’ll explain about what dust is and how an air purifier helps with dust problems. 1. 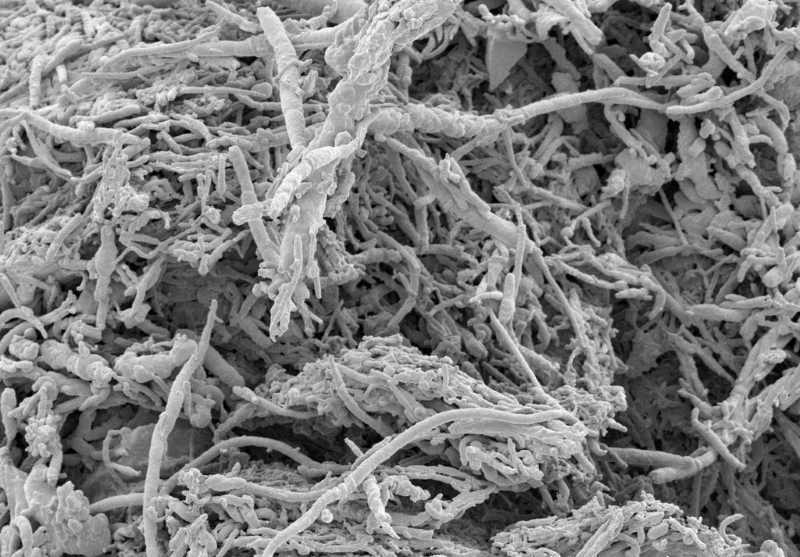 What’s in dust and where does it come from? 2. Do air purifiers help with dust? What’s in dust and where does it come from? Dust describes fine particles of matter that become airborne and settle on surfaces everywhere. It may sound harmless but it can cause a great number of problems to humans and animals. Dust can also include a great deal of organic matter anywhere that where humans and animals live. Additionally we bring some particles in from the outdoors unintentionally. Dust can contain a wide range of nasty things! It can easily become not just a nuisance to the cleanliness of your home but an air quality issue, too. I’ve personally experienced severe coughing triggered by dust from unknown sources. Some particles are large enough to touch and see while some are microscopic in size. A great example are the particles distributed inside your home by a central heating and air system. Those systems aren’t designed to prevent dust from reaching you (despite having a type of filter on them). Dust particles of nearly every type range from large visible pieces to those which are microscopic in size (especially pet dander and dust mite materials). The amount of time that dust takes to settle on surfaces can range from a handful of minutes to a few hours. This is what gives the dust plenty of time to cause allergies and cause other respiratory problems. When these particles are suspended in the air around you they’re easily inhaled and can contact your skin, too. 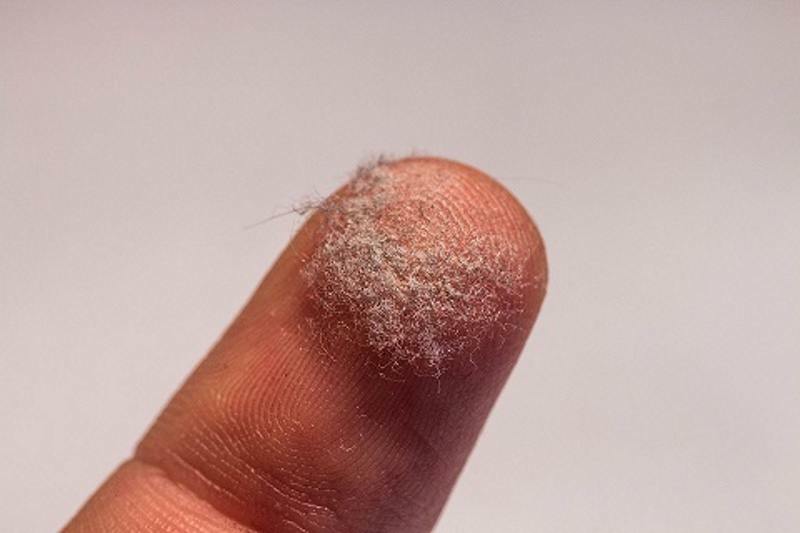 Image of household dust under a microscope – note the incredibly small particles. Just think about how much of this you’re breathing in every day! To help illustrate, common dust mite allergens can range in size from roughly 5-10 microns in size (a micron is 1/1,000,000 of a meter in size) which is incredibly small! That is much smaller than the human eye can see. The source of the problem is that unless it is eliminated dust will continue to build up. There’s no remedy aside from actually removing it. Dusting surfaces like your furniture is only temporary, as the dust remains indoors and once it settles it may become disturbed by movement or gusts of air causing it to circulate again. 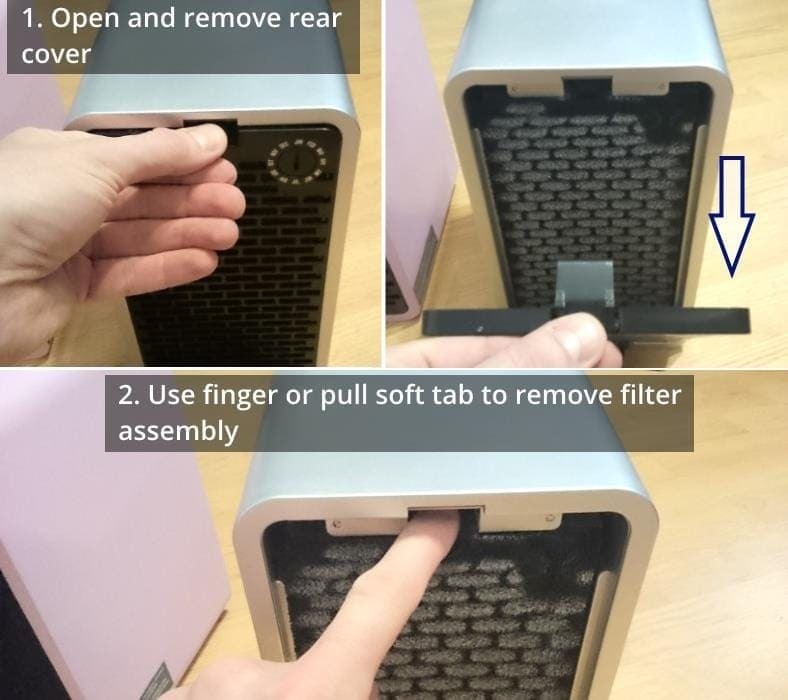 The only true solution is to purify the air by removing dust particles. Do air purifiers help with dust? Heating & cooling systems in homes or workplaces normally have a filter in place to trap unwanted elements. Unfortunately, they are typically extremely ineffective. Average filters are not worth much, to be honest. The filter material is often made up of course fibers with large gaps in between which allow the majority of dust to pass through. I’ve seen this myself, having seen large amounts of dust coming from the air vent after using the air conditioning for long periods of time. And this is with brand new filters, too! 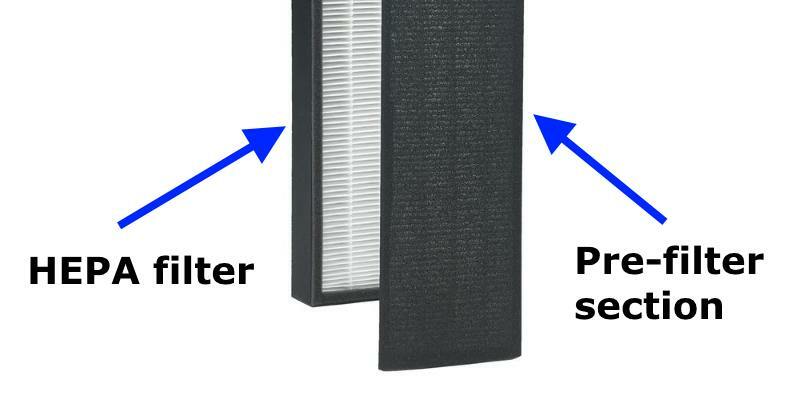 The fact is that microscopic elements in the air must be removed by a far more effective filtering process – and this is why a High Efficiency Particulate Air (HEPA) filter is so important. Illustration of how an air purifier works to remove dust and other contaminants from the air (GermGuardian AC900CA shown). Air is drawn in using suction from fans and dust and particles are permanently trapped in the filter. The remaining fresh, clean air is blown out from the exhaust side. This means that for every 10,000 contaminants flowing into a true HEPA air purifier, only about 3 will escape! This is an amazing amount of air cleaning ability and it can remove almost all dust in the air it processes. A good quality filter-based air purifier will circulate the air in a room and permanently remove the dust present in the air. After a number of hours airborne dust will have been trapped permanently! Of course, it’s not a one-time treatment. In your home you’ll need to use the air purifier from time to time. It can even be left on low speed, for example, for continuous protection. This is especially true if you have constant sources of dust like I did from the heating system. 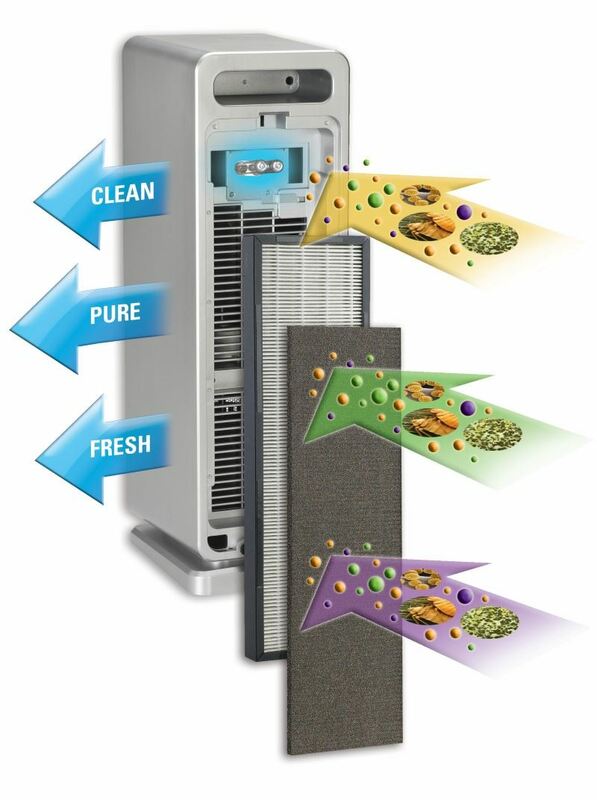 A true HEPA filter is extremely effective in removing dust, allergens, and microbes from the air. The HEPA filter section is a secondary stage that effectively removes microscopic dust particles. The pre-filter is a thinner, less dense section (often containing active carbon) to first remove larger dust particles. 3-in-1 filters are very effective at removing dust from your home. An active carbon filter removes chemical substances and odors, too. The name “true HEPA” refers to those that meet the filtering standard, as some sold may be described as “HEPA type.” A HEPA-type comes close to but doesn’t quite meet the same filtering ability. It’s important to know this difference when shopping for an air purifier to avoid being mislead. The same well-designed air purifier that can remove dust forever can remove a lot of other nasty elements in your home’s air as well like dust mite allergens. Control from anywhere with your phone! 1. 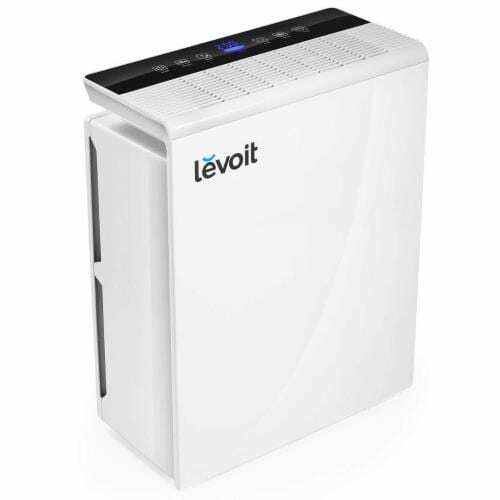 Levoit LV-PUR131 – A fantastic large room 3-stage purifier! Auto-sensing operation and more. The LV-PUR131 is another excellent model with great performance and attractive styling found in its smaller sibling, the Levoit LV-H132. It’s a great compromise between cost, features, and room size coverage ability. In other words, it’s a great value. I’m recommending it for several great reasons. For the money, you get great features, very good room size coverage, and excellent build quality. The performance is very good and it’s an air purifier you’ll be happy to own. It’s no coincidence the LV-PUR131 is rated one of the best and is a top seller. The electronic control panel looks a bit complicated at first glance but it’s easy to use. Touch controls easily rotate through their various on/off settings such as the fan speed or mode. A digital display shows the remaining operation time when the auto-off timer in use as well as the current air quality detected. A 7-segment LCD numeric display shows you the auto-off timer count. The auto-off timer is very flexible and can be adjusted to anywhere from 1 to 12 hours of operation before automatic shut off. A sleep mode keeps the unit in a very low noise so you can rest without being disturbed. A color-coded air quality indicator light uses 4 colors to show how contaminated the nearby air is as detected by its sensors. Very nice! The LV-PUR131 continues the tradition of Levoit’s great air purification filter design. 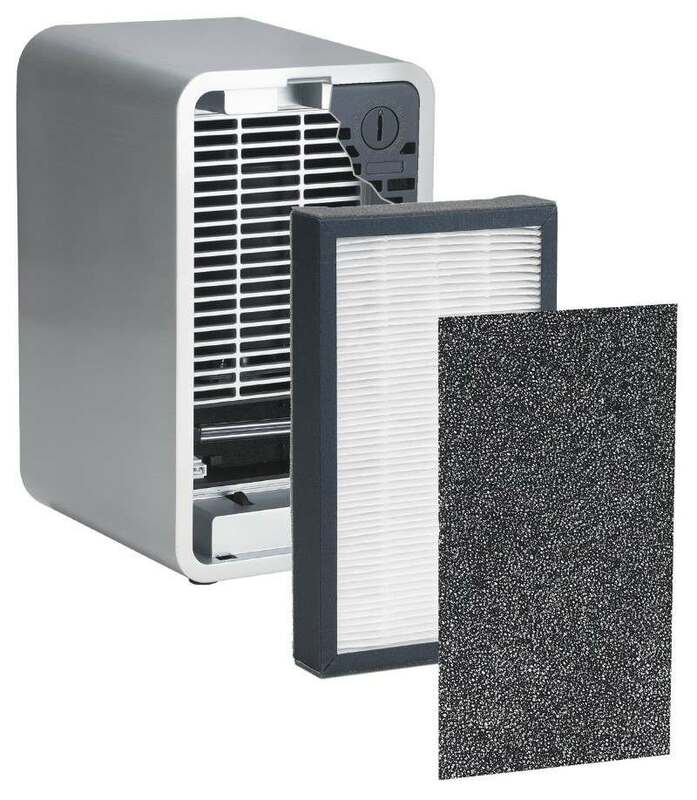 The true HEPA filter traps finer, more difficult dust particles while the preliminary filter quickly and permanently removes airborne dust particles of normal size. 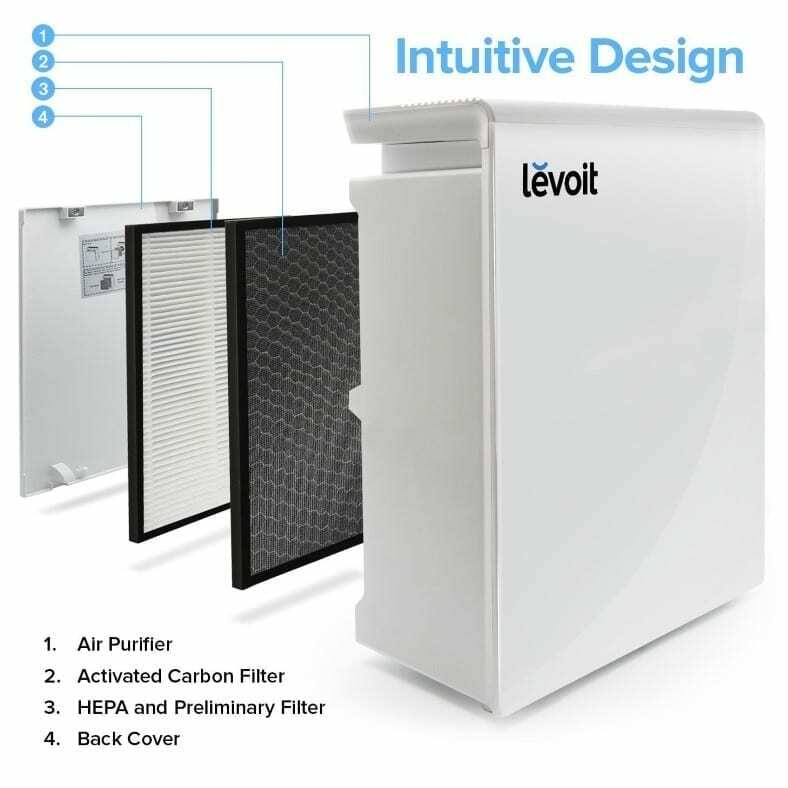 Almost everyone who has tried the Levoit has wonderful things to say about it along with reporting excellent dust, dust mite, and other allergy and contaminant removal. Average filter life is about 6 months and the convenient filter reminder will let you know when it’s time to replace it. New filters cost around $35 or so. A great 2-year warranty is provided too. It’s one of the best-selling, too! Definitely worth a look. You can click here to find out more and see the many other happy buyers. 2. GermGuardian CDAP4500WCA WiFi Smart 4-in-1 – WiFi and smartphone control that’s surprisingly affordable! I didn’t think it was possible to get this level of convenience and great air purification for less than $175. But GermGuardian has made it possible! 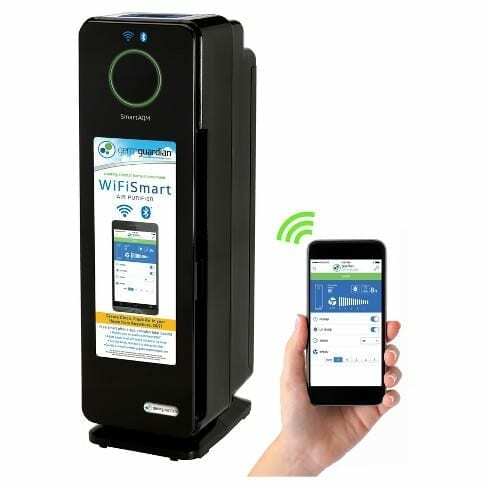 Built on the same best-selling fundamental air quality design of the popular AC4825 & AC4900, the CDAP4500WCA (white) and CDAP4500BCA (black) are purifiers that offer next-level air purification you can control while away using your smart phone. They also can be controlled by voice using the Amazon Alexa too. Not only that, they offer a Smart Air Quality Monitor (SmartAQM) feature to detect the amount of particulate matter in the air around you and can even adjust its speed automatically. The CDAP4500WCA/BCA models feature a nice backlit digital display with fan speed readout, current air conditions, and auto-off timer status indicators. An auto-off timer allows you to shut it off after an preferred amount of time, too! It’s an amazing feature. The current detected air quality is displayed with an easy to see colored ring on the front of the unit. 3 colors (green, yellow, and red) are used to indicate the current air quality status. Unlike other models & other products, you get 5 (not 3!) levels of fan speeds. From a super-quiet low setting to fast-cleaning high speed, the CDAP4500WCA/BCA has you covered. Additionally, it features the famous GermGuardian built-in UV-C germ-killing option for the safe removal of sickness-causing airborne microbes. The smart phone app provides an easy-to-use way to get current air quality info while you’re away. You can also control the purifier while you’re not at home as well! It’s extremely convenient and the interface is pretty simple. I like it. It’s especially nice to be able to use the auto-off timer too. Just download the free GermGuardian app (provided for both iPhones and Android) and you’re read to control it remotely at your leisure. No more getting out of bed at night to adjust it! Overall, it’s a well-designed air purifier that works just as well as the more basic GermGuardian models I’ve come to love as an owner. 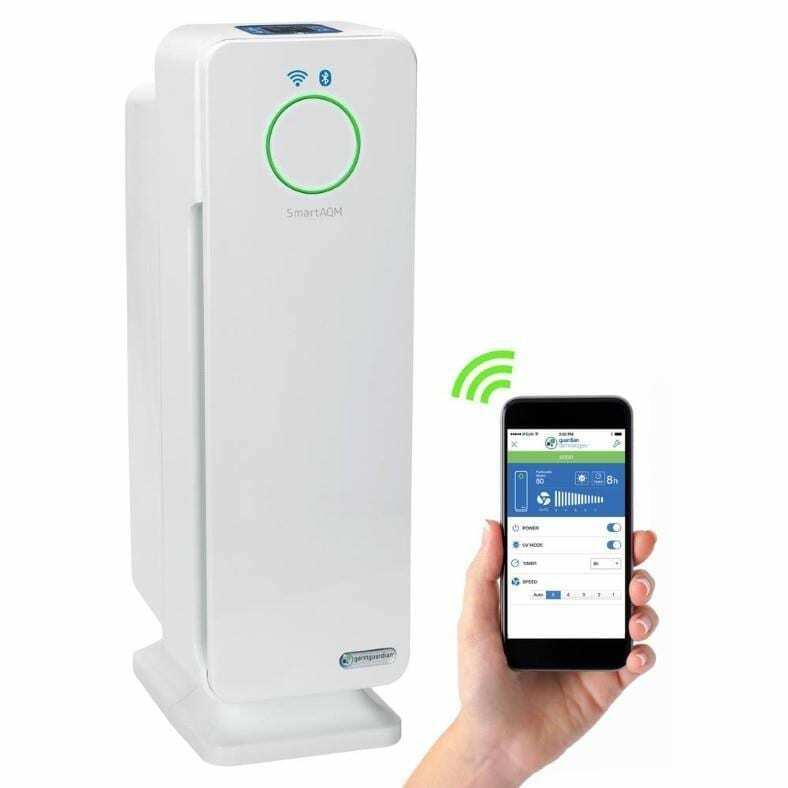 It takes air purification to the next level by making it incredibly convenient, and I love the smart phone control features! It’s an excellent and suprisingly affordable compared to the competition considering the great features. Don’t pass it up – have a look! Head over now to see the great reviews and current sale price for the white CDAP4500WCA at Amazon. Prefer the black version? You can have a look at the great looking CDAP4500BCA model here. 3. 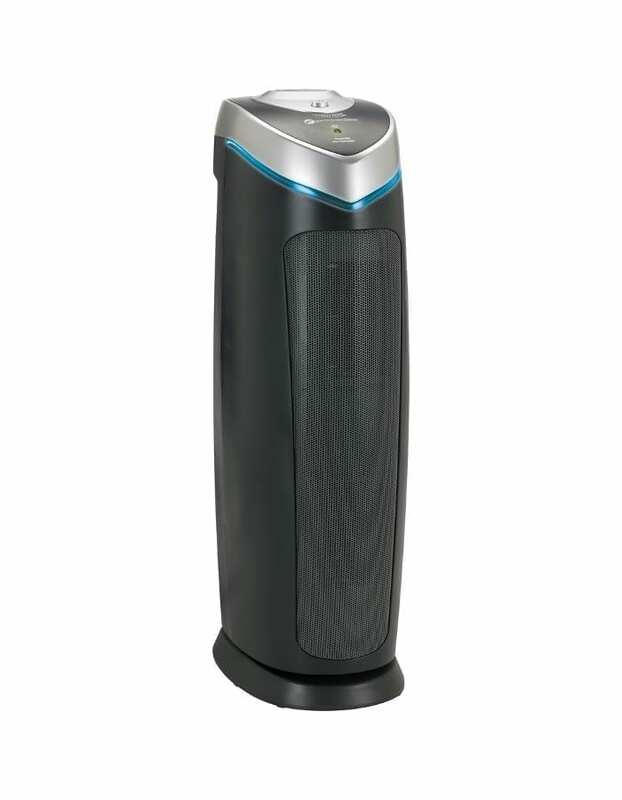 GermGuardian AC5000E 3-In-1 with True HEPA Filter and UV-C Sanitizer. Excellent for medium to large rooms. Featuring simple controls, great dust cleaning ability, and excellent reviews, the AC5000E is a really worthwhile investment and serves as the “big brother” to its smaller sibling the AC4825. It’s a great buy for the money and works well for medium to large sized rooms near 193 square feet in size. This is another excellent product from Guardian Technologies. Feature the great-performing 3-in-1 filter design shared with other air purifiers they produce, it’s great at trapping not just dust but also allergy-causing particles like pollen but also pet & human hair as well. Right: The AC5000 is a larger, more powerful version of the popular AC4825 model (left). Both have the same control design and features. Operation is simple by using the 3-speed rotary fan control and the UV push button for operating the germ killing feature. The active carbon filter will tap odors like chemical vapors and a variety of unpleasant substances. It features simple, easy-to-use controls that I really like and are suitable for nearly anyone in your family. The UV-C feature safely kills germs as the pass through the purifier and doesn’t expose you to any unhealthy ultraviolet rays while in use. The AC5000, just like its smaller sibling the AC4825, features a cool trim ring that glows when the UV-C feature is in operation. It’s a nice detail I enjoy as an owner. Note that while it does glow, I’ve found it shouldn’t be too bright for most people at night time. I do have one complaint: after switching the UV-C feature on, if I turn off the air purifier it doesn’t remember that I had the UV-C on last time. So I have to turn it on again manually. However, that’s an extremely minor gripe that’s barely even worth mentioning. Overall, if you’re looking for dust removal in a room that’s close to around 193 square feet in size. It works well for medium to large sized rooms. At 28″ in height it’s a bit large so bear that in mind before buying. This one is one of the best-selling air purifiers today! Take a look at the amazing number of reviews from people who found it helpful for dust (and much more!) over at Amazon. 4. 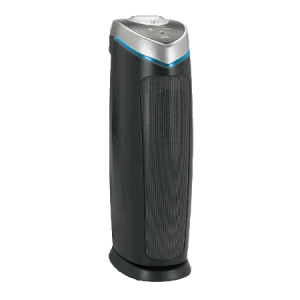 GermGuardian AC4825 3-In-1 with True HEPA Filter and UV-C Sanitizer. A super-popular winner! Featuring simple controls, great dust cleaning ability, and excellent reviews, the AC4825 is a top seller in its price range and has received the Amazon’s Choice award. I’m an owner and I have great things to say about it in my review of the AC4825. 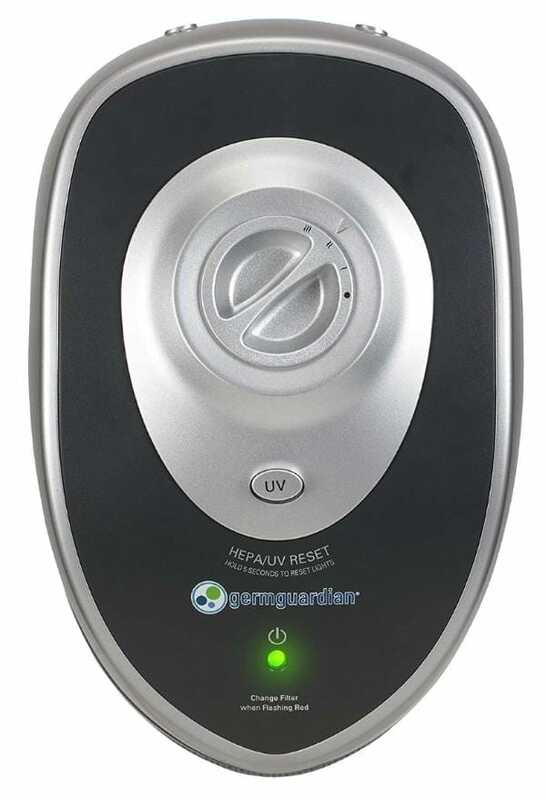 The GermGuardian features an additional benefit the others don’t – an ultraviolet (UV) light feature which works with titanium dioxide to kill airborne bacteria, viruses, germs, and mold spores. 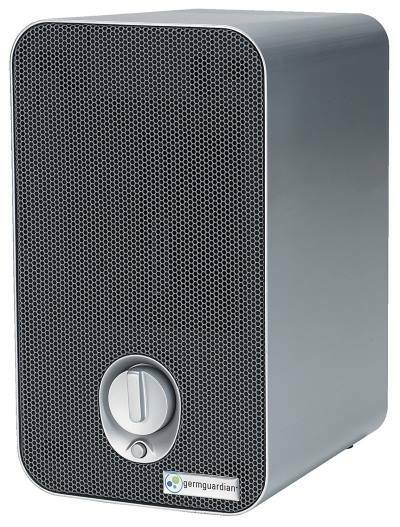 At 22 inches tall the purifier fits well into room corners and other areas where vertical space is available. It uses a 4-stage filter process also to eliminate dust along with many other particles in your breathing space. These are: a pre-filter for larger particles, an active carbon filter, a true HEPA filter, and finally the UV-C light. Although it is simpler in operation and in a lower price bracket than more sophisticated models it also features ultra-quiet operation and a filter replacement reminder. Replacement filters typically have a 6 month life span and cost around $30+ or so, although lower-cost 3rd party filters are available. A relatively small number of buyers report problems with the AC4825, but based on such a huge amount of owners (well over 6,000) overall the reviews are excellent and nearly all owners are very happy with it for their money. The AC4825 I owned and have tested has been trouble-free and well made. I’m sure you’ll enjoy yours just as much as I have mine. This one is one of the best-selling air purifiers today and it’s simply one of the best values for fighting dust. Take a look at at the amazing number of positive reviews and happy buyers it helped at Amazon. UPDATE: Great news! There’s now a great-looking white version available too. Note: for identical performance but with different styling, check out the AC4900CA – the AC4825’s twin I wrote about here. You can even save a few dollars versus the other model. 5. 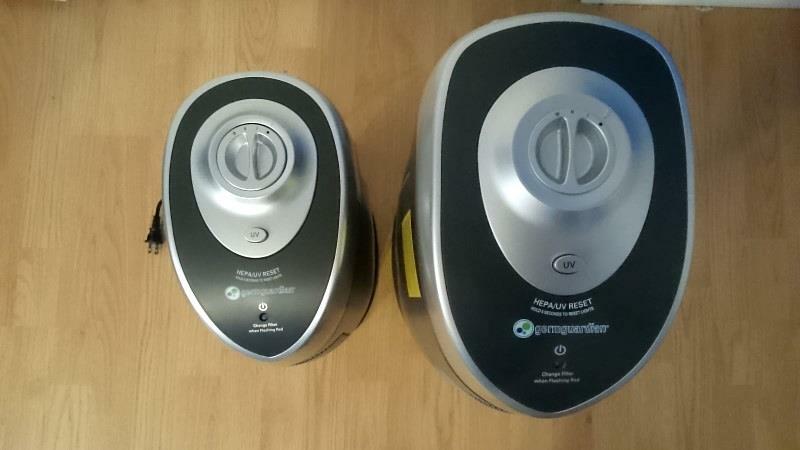 GermGuardian AC4100 – Affordable, compact quality for small rooms. With its compact size and lower price you may be thinking the AC4100 is too small to handle your dust problem. 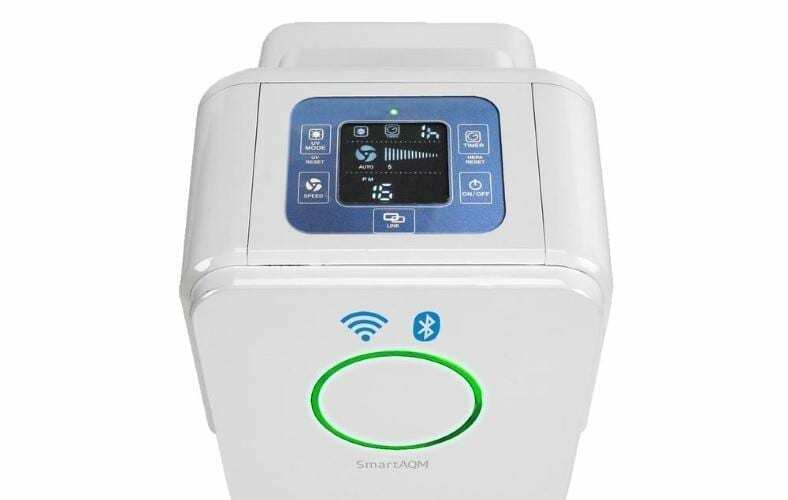 However, it’s a well-rated and well designed purifier featuring a true HEPA filter and even a UV-C sanitizer like its bigger siblings. Great for small rooms, the AC4100 also has a simple to use 3-speed control and is perfect for fitting into small spaces (it’s about 7.5 x 6.5 x 11 inches in size). A filter reminder (installation month wheel) is also provided so you won’t have to rely on memory when checking the filter. Filter life is about 6 months and you can clean the pre-filter section with a vacuum cleaner. The UV-C section kills airborne bacteria, viruses, and more while the HEPA filter is great for removing dust and other unwanted air contaminants including allergens. The 3-stage filter also features a standard carbon filter to remove odors. It has quiet operation and is a great value-priced model. Buyers report a high amount of air processing power/fan speed for more air flow allowing it to purifier your room quickly. It’s great looking and reminds me very much of a stereo shelf speaker. Because of this it blends in well in modern rooms. Filter replacement is more economical for this model than competitors at around $15 each. The AC4100 is a great choice for smaller rooms and smaller budgets. Head over here to see the fantastic reviews and happy buyers who say the same. 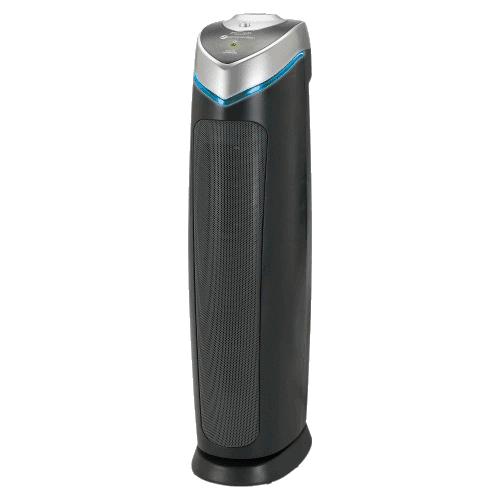 The GermGuardian AC4825 is my top recommended air purifier for dust as it’s one of the best values around and works well. You’ll get more coverage for your dollar than competing models in its price class. Based on features, price, maintenance cost, and its performance the GermGuardian AC4825 is a solid all around performer and my recommendation for most people looking for dust relief. It’s a good overall value for many applications not just because of features but because the room size (155 sq. ft) is one of the best in its price range (under $100). Think hard about your budget. You can get great dust relief for below $100! Do you need a germ-killing feature? If so, get one of the GermGuardian products as it’s included as a bonus. If you’d like to learn more about how many purifiers you should buy, read this helpful post about how many purifiers you need. 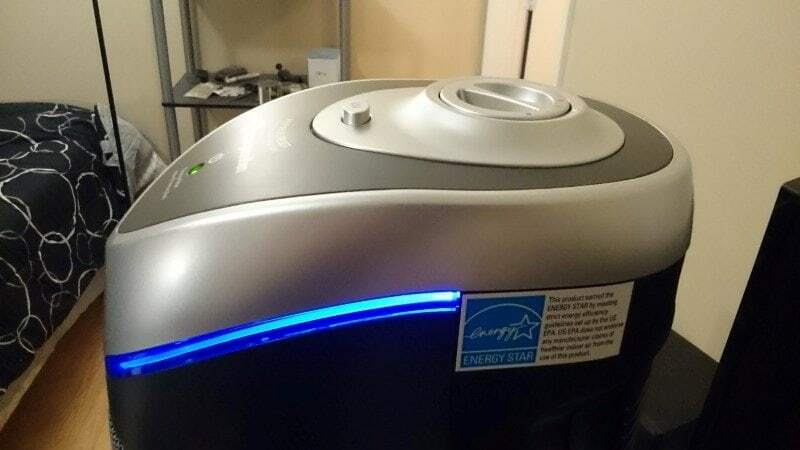 If you’re not familiar with the GermGuardian brand, feel free to read more about my own personal experiences with the famous AC4825 purifier here. I’m a happy owner and can definitely recommend the brand & several models due to personal testing. 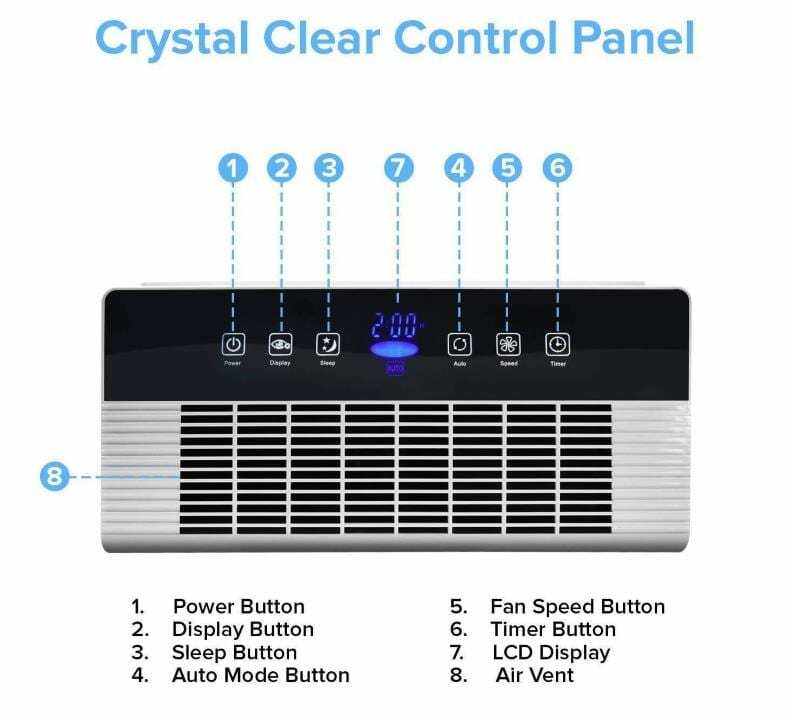 Do Air Purifiers Work With Windows Open? There's More To It Than You Might Think! Hi Grant, Thanks for sharing this comprehensive but quick review. 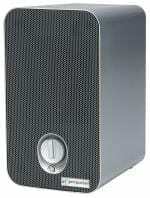 I’m on the look for Air Purifiers and it’s good you featured HEPA certified products and those below $100 dollars. Very helpful!